Makelar Tjerita: Why We Fight? Revolution, is always costly and has a dark side. Likewise, the revolution for independence in Indonesia. Soon after the proclamation of Independence on August 17, 1945, a lots of people questioned the meaning of independence. Traumatic by the Japanese occupation which causing the worst condition of life, and chaos caused by the vacuum of power soon after the Japanese surenderred, that often taken as a propaganda by the Dutch, that East Indie still required an intervention. On the other hand, Soekarno with others national leaders with confidence and optimism, take a significant step to become masters in their own land, who really vast and rich. 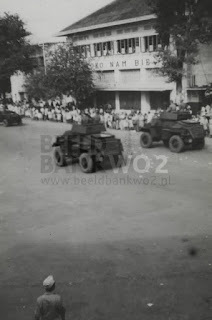 in front of Nambie Shop on 1947. This time I will see the revolution of independence of Indonesia from the Dutch army side. Not because I'm an anti-nationalist, OF COURSE NOT!!! But just because I believe likely Germany Wehrmacht, they were just innocent people who keep the commandments of the country, but their leaders, if in this case is like van Heutz, van Mook, or perhaps the very cruel ones, Raymond Westerling, the slaughter of more than 4000 Celebes people, forced them into a terrible and exhausting war. 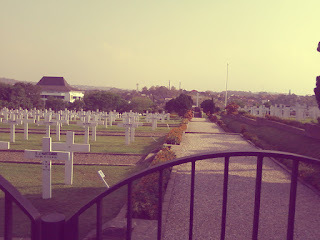 Indonesia at that time, become the Netherlands Vietnam, long, exhausting and deadly battlefield. As a state who were in war condition, the Dutch government implemented the conscription to face the revolution in Indonesia in the late 1946's. They are trained in Ede, they taught on how to fight a war in the East Indies, alse a knowledge about the tropical nature which the nature itself are very different from Europe. They were also told about the outbreak of revolution in the country and in East Indies as many troops are needed to restore the Dutch rule. 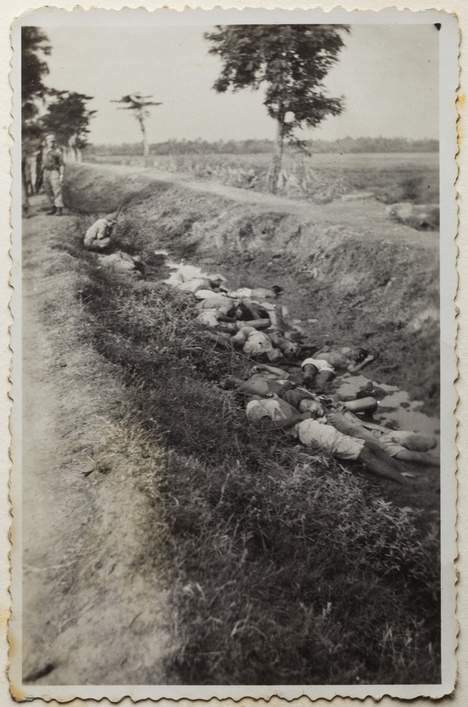 Chaos has happened everywhere because of the vacum of power and the KNIL (Koninklijke Nederlands Indie Leger, Army of East Indie) troops is not in good condition after the Japanese occupation. Generally, many of the young Dutch complained and objected. Just after the second world war ended, not many young people who have a willingness to fight, to joined as regular army, but refusing conscription is an against the state behaviour and its could be sentenced to jail. However, for the opportunists, it is seen as an opportunity to go adventuring, going from the Netherlands who were stuffy and chaos, after the World War II, and going to the fertille land that have plenty of natural resource: East Indie! 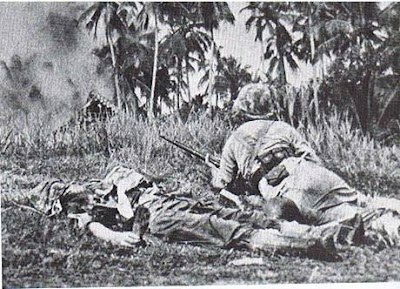 Finally mid-1947, this young soldiers were sent to the East Indies, and soon, face the fierce guerrilla warfare soldiers of the republican army as well as the pro-independence militias. The war was very tiring because of almost the majority of the indigenous people in East Indies which has now become Indonesia atfer the proclamation of independence, fully supports the revolution, support the independence of Indonesia. Things that they don't realized before cause on their minds, the people are getting suffer and hate the revolution, also presuming that the republican army and those militia are no more than a terorist group. As a result, many of them become stressed and perform several actions beyond the military ethics, like the burnt to the ground the villages and kampoong who were accused as republican based, also civillian killings, since they are no longer able to distinguish who were soldiers or civillians. mercenaries and regular army of Dutch Regiments. On an evening, ight after tennis practice, near the tennis courts, there is an Ereveld, the placed were Dutch soldiers casualties during the revolution are buried. The Ereveld Tjandi, is one of the Ereveld established in Indonesia by the Dutch government as the resting place for thousand of Dutch soldiers, both the mercenaries or regular army who died during military operations in Indonesia. As I observed the graves, it is likely that many of them are still as young as me, 21 years old, even some of them are still in 18 years old! They have dreams, they kept a lots of expectation on their mind, they waits for their future but soon, dispossessed by war which initiated only by a few of people. Someday, when you were a leader. Beware of taking a decision, caused ur decission are impacted the lifes of others people under your command.